Located in the northern celestial hemisphere, Abell 1703 is composed of over one hundred different galaxies that act as a powerful cosmic telescope, or gravitational lens. 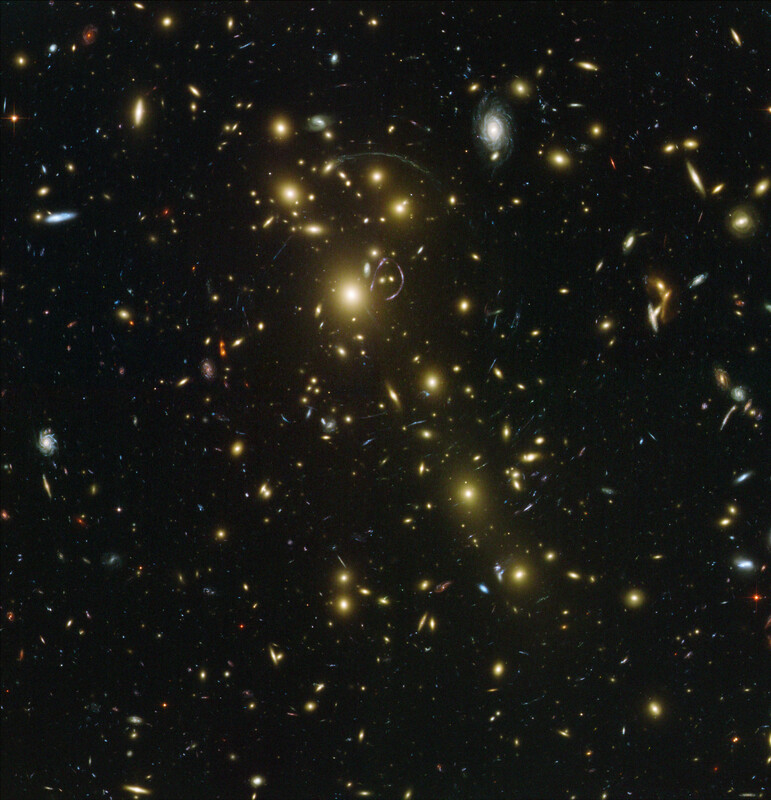 The gravitational lens produced by the massive galaxy cluster in the foreground (the yellow mostly elliptical galaxies scattered across the image) bends the light rays in a way that can stretch the images and so amplify the brightness of the light rays from more distant galaxies. In the process it distorts their shapes and produces multiple banana-shaped images of the original galaxies. The result is the stunning image seen here - a view deeper into the Universe than possible with current technology alone. Abell 1703 is located at 3 billion light-years from the Earth (redshift 0.26). Position (Dec): 51° 49' 25.91"